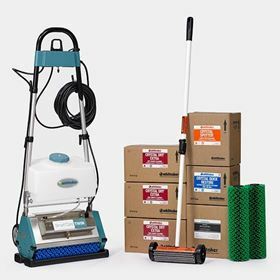 The tried and true Smart Care® TWIN Systems are economical, lighweight and versatile low moisture encapsulation systems. 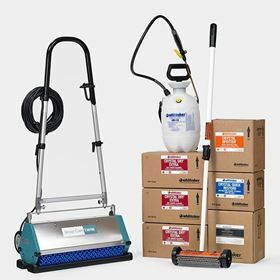 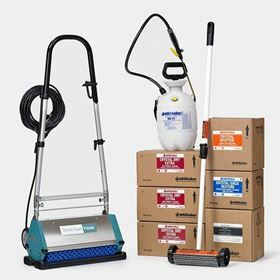 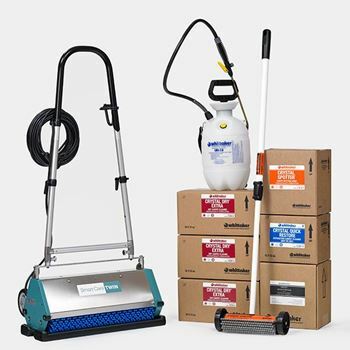 The Smart Care® TWIN Standard System includes a manual pump sprayer and comes in 10 inch, 15 inch or 20 inch cleaning widths. 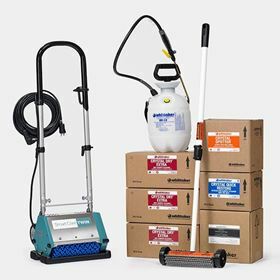 The Smart Care® TWIN Professional System includes an integrated automatic sprayer in either a 15 inch or 20 inch version. 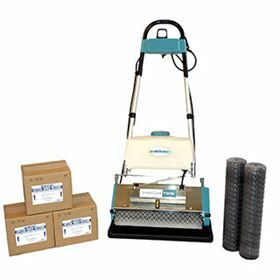 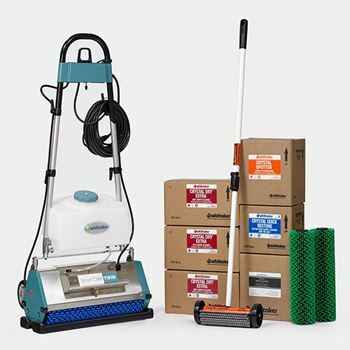 Both systems include a CARPET ROAMER® Spotting Tool, five cases of CRYSTAL DRY® Extra encapsulating chemistry (enough to clean up to 240,000 sq ft) and one case of CRYSTAL SPOTTER®.